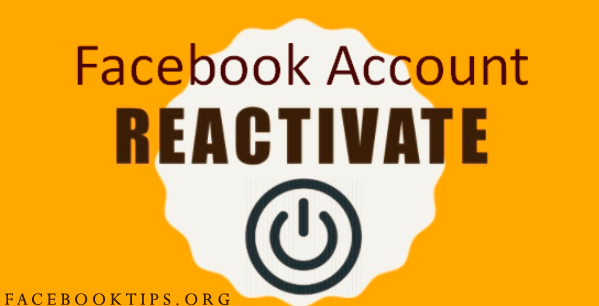 Reactivate Facebook Page: Due to one reason or the other, some users may close or deactivate their Facebook accounts, as soon as that is done, Facebook saves their data in a secured location so that users can reopen them again easily if they have a change of heart. If you previously deactivated your Facebook account but now you already have a change of mind and want to reopen it, you can easily activate the account by logging in with your old username and password. Step 1: Launch your Web browser, and navigate to Facebook.com. Step 2: Type your username into the relevant input field on the Facebook login page. The username is the email address that you used when you first registered the account. Step 3: Type your password into the relevant input field. Enter the password carefully, because Facebook uses case-sensitive passwords. Step 4: Click the "Login" button. This will open and reactivate your Facebook account. You can access your Facebook friends list and all previously uploaded data, including status updates, notes, photos and videos. Now you've got your old Facebook account back, kindly share this with friends so they can reactivate their old account.